Modiphius has announced the upcoming release of Fallout: Wasteland Warfare miniatures game. Command a crew of detailed 32mm scale minis through PvP, co-op & solo tabletop missions. 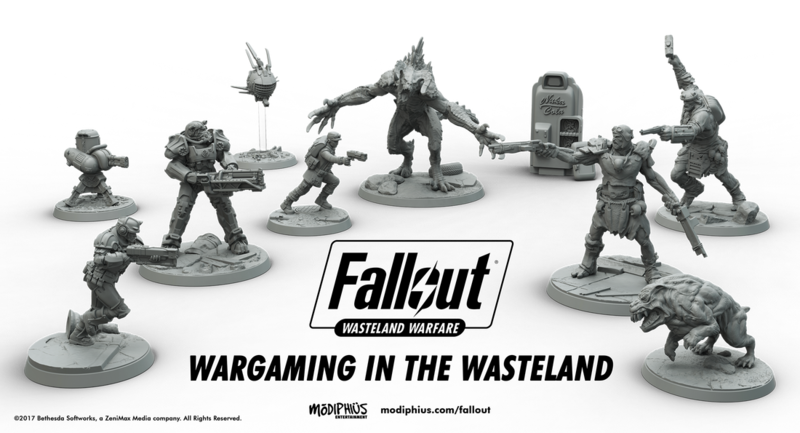 The miniatures game will be coming out later this year and in the next few days we’ll be sending out a full press release with additional sculpts plus more information on the forthcoming range of miniatures and the game itself. 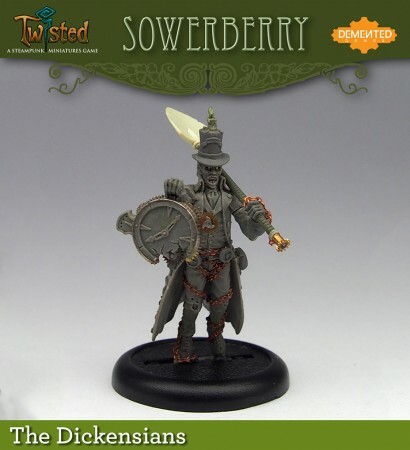 4 new Steampunk miniature releases have just hit the shelves for Twisted, the 32mm skirmish miniatures game from Demented Games! 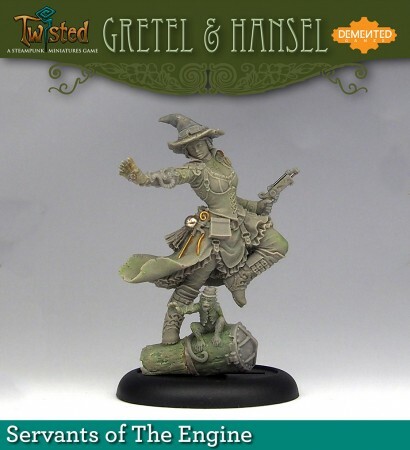 Gretel (with Hansel!) 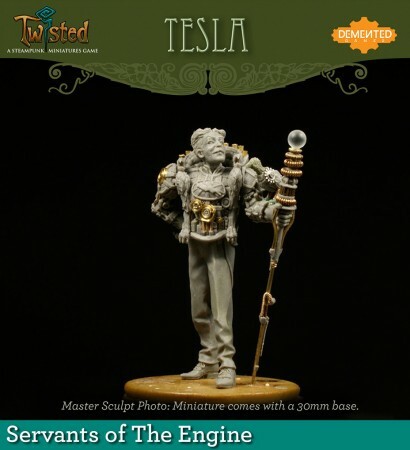 and Tesla bolster the forces of the Servants of the Engine faction, while Feygin and Sowerberry add more nuance and alchemantic power to the Dickensians! The new miniatures are Collectors Edition resin, strictly limited to 500 and selling fast. So be quick if you want to grab a copy – remember it’s free shipping if you order 4 miniatures (or more!). The Twisted skirmish game rules are in the final editing stages so they will be released very soon, along with many more new miniatures and surprises we’ve got waiting in the wings. 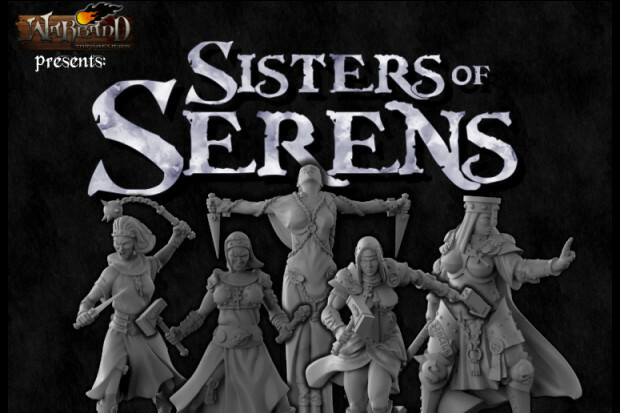 Sisters of Serens 32mm fantasy miniatures on IndieGoGo crowdfunding. 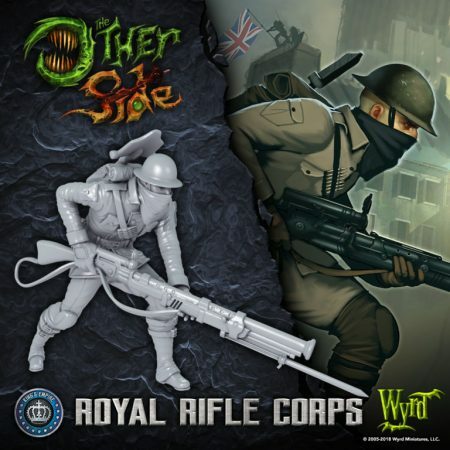 Warband-miniatures is releasing the first band for its range of skirmish fantasy miniatures. Warband-Miniatures is a small project dedicated to create a fantasy miniature range. We want to offer alternative designs of complete bands fully compatible with skirmish games of medieval fantasy. The Sisters of Serens is the first band that we want to produce, but we are planning to release many more in the future! 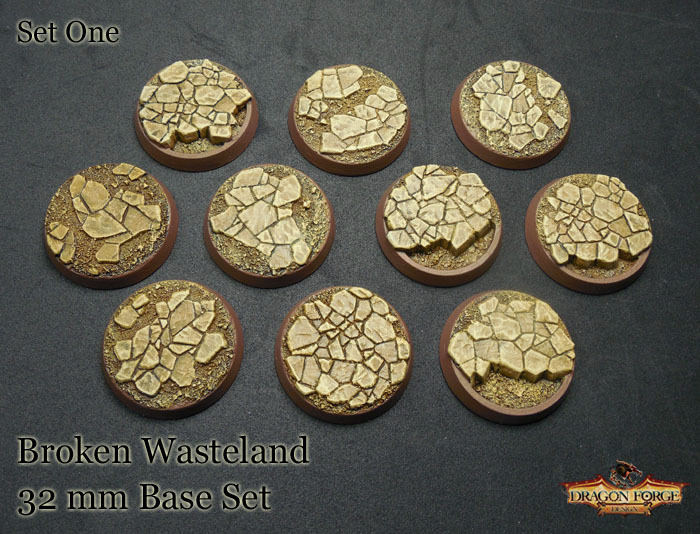 Dragon Forge Design brings you the First New 32 mm bases in its Broken Wasteland range of base sets. With 32 mm bevel edge base sets being the new base size, I sculpted and released my first set of bases with that size. 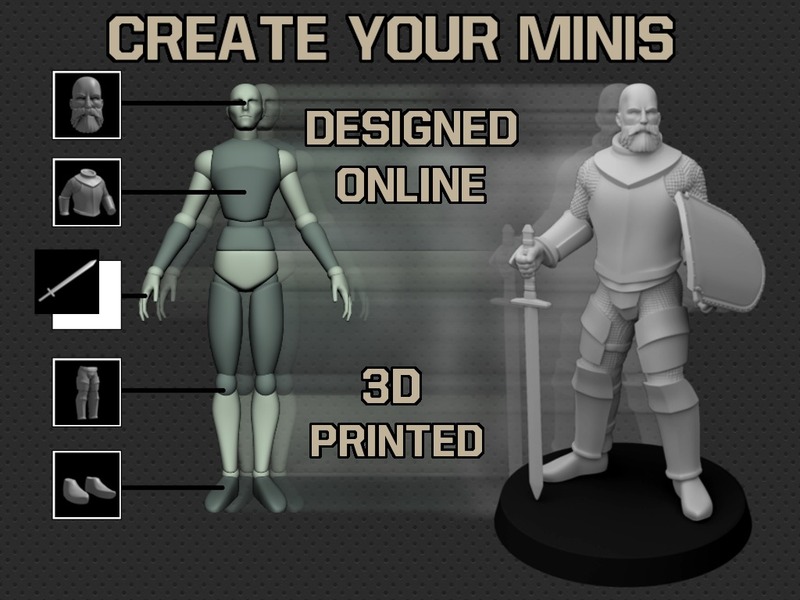 Create Your Minis is about letting you design your own 28/32mm miniatures (1:56 precisely, for example the miniature of a 1.80m tall human will be 1800/56=32mm high). You choose the type of model you want, man or woman, then select the clothes, the weapon, the equipment. Once you are done, you choose how the weapon is held then select a pose among the compatible poses provided. After you wait a couple of minutes for the model to be built then you can visualize it, order it or save it to be modified or ordered later. Among the numerous features, the most important in regard of this kickstarter campaign is the possibility to add symbols on some flat elements, usually shields, torso armors or shoulder pads. You can even add those symbols on some elements of the weapon sprue so you can convert other miniatures. 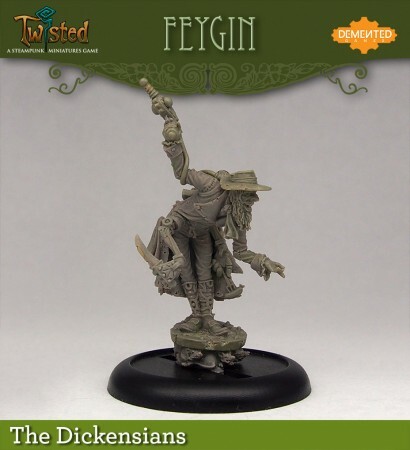 Wyrd has the latest set of releases up for Malifaux. They’ve got 4 new crews coming later this month. Other releases include Crooked Men, Hog Whisperer, and the Pigapult .. And of course there’s the Mindless Zombie. 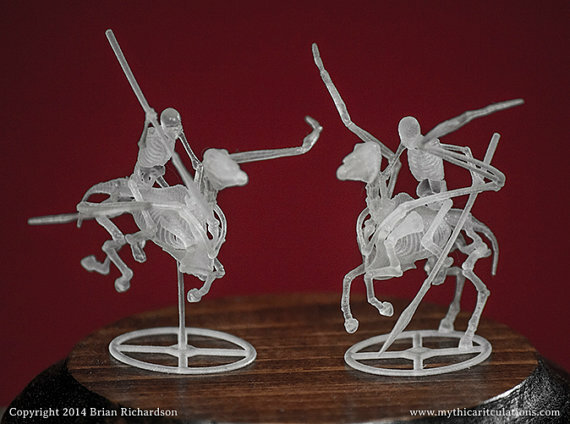 Mythic Articulations has recently released a set of five skeletal Pegasus for use in any 28-32mm fantasy war gaming army.